Last week's NXT saw Ricochet and Aleister Black defeat DIY to advance to the finals of the Dusty Rhodes Tag Team Classic. Next week they would face off against the Forgotten Sons, hoping to move onto NXT TakeOver: New York where they would challenge the War Raiders for the NXT Tag Team Championship. We also saw that Tommaso Ciampa attempted to turn on Johnny Gargano one more time. However, Gargano, who faked a knee injury, knew what the Psycho Killer would go for, and would launch his former friend into the screen, just like Ciampa did two years ago. A superkick from the former NXT North American Champion sealed Ciampa's fate, and he shouted to the crowd that "Johnny Wrestling" was back. With that, it seemed that we'd get an NXT Championship match between the two former members of DIY. Sadly, that wouldn't be the case. 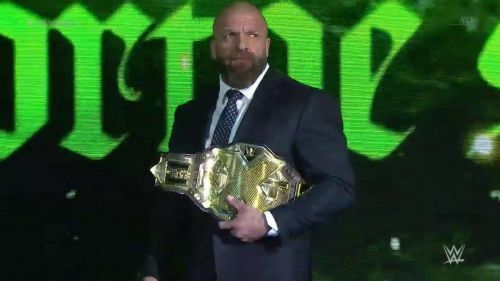 Triple H started off the show holding the NXT Championship. He talked about how dreams are accomplished in the NXT ring. However, for many, a dream can be over at any moment. He then said that the original main event for NXT TakeOver: New York was going to be Johnny Gargano vs Tommaso Ciampa for the NXT Championship. However, due to a severe neck injury that required surgery, Ciampa had to drop the title. Thus, tonight began the quest to find Johnny Gargano's opponent for the title bout. The main event of the show would feature five of NXT's best superstars in a Fatal-5-Way match for the opportunity to compete for the NXT Championship in New York. Ricochet, Adam Cole, Aleister Black, Velveteen Dream, and Matt Riddle all had a shot at glory tonight. Only one of these men had held the NXT Championship before, while the rest were still hungry for the company's top prize. The winner of the match tonight would take on Gargano at TakeOver in a 2-out-of-3 Falls match to determine the new champion. Backstage, Cathy Kelly got the reaction of NXT superstar Kona Reeves. Reeves said that the match will be alright, but it won't be "The Finest." The Forgotten Sons said that they've been forgotten by the crew again, as their main event match next week against Aleister Black and Ricochet in the finals of the Dusty Rhodes Tag Team Classic should be what everyone is focused on. 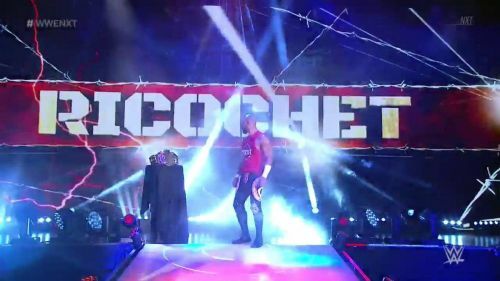 However, they hope Black or Ricochet win, because that will mean that their minds are on something else, while the Sons are focused only on making sure everyone remembers them.